then, best therapy to get relief instantly and comfortably is by using viopatch herbal pain relief patches. 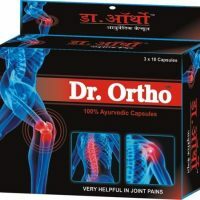 INGREDIENTS: The product contains a blend of 5 powerful pain relievers like Gandhpura Oil (Methyl Salicylate), Menthol, Camphor, Eucalyptus Oil, Clove Oil. MENTHOL: It improves circulation in peripheral blood vessels, thus reducing inflammation and swelling. The drug work as a penetration enhancer, increasing the porosity of the skin towards NSAID’s. GANDHPURA OIL: The main ingredient present in gandhpura oil is methyl salicylate which is a Non-Steroidal Anti-Inflammatory Drug (NSAID) which hydrolyzed to Salicylic acid (like Aspirin). The mechanism of action is due to the inhibitory effect on prostaglandin biosynthesis. It produces a rubefacient effect. CAMPHOR: It acts as a mild local anaesthetic and antimicrobial substance that is readily absorbed through the skin and produces a feeling of cooling similar to that of menthol. EUCALYPTUS OIL: It provides long term relief in muscular aches and pains, rheumatoid arthritis, sprains and poor circulation. CLOVE OIL: It is an alternative to lidocaine a topical anaesthetic which temporarily numbs and relieves the pain. FEATURES: The first herbal pain relief transdermal patch with the benefit to provide relief from musculoskeletal pain and inflammation on the locally applied area. The viopatch pain relief patch can be applied anytime, anywhere (like a band-aid) and delivers a constant dose of medicine to the pain affected area for 12 hours (unlike sprays/gels which need re-application every 2-3 hours). 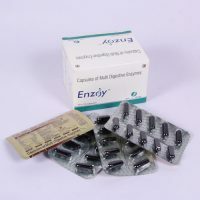 The product is safe without any side effect. Viopatch Pain Relief Patch bypasses the digestive system and therefore, does not have side effects associated with oral pain killers such as gastric irritation/gastritis, liver damage etc. Since it is not digested and is directly pasted on the affected area, it delivers a much higher dose of the drug than oral medicines. 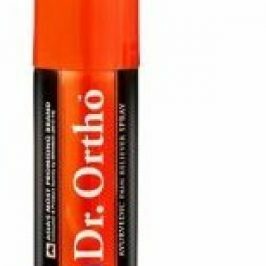 Unlike common sprays/creams/ointments, it does not require re-application after every 3-4 hours and delivers the drug at a controlled rate for 12 hours. It is non-messy and non-greasy so that it can be easily applied under clothing. Dry the application area completely before use. 1 to 2 patches to be applied to the affected area in one day.